Electrical pre-construction services are a portion of the pre-construction services that are undertaken when a house is to be built. Pre-construction is considered a part of construction management in which specific elements of a project are planned out and coordinated between different contractors. The end goal of pre-construction is to create, implement and complete a project that will best satisfy the needs of the owner. How Do Pre-Construction Services Benefit a Homeowner? So why do contractors undertake pre-construction during the process of building a home? There are really two reasons, both of which have to do with ensuring a safe, orderly build that meets the owner’s expectations. If you have ever watched a cartoon or old TV comedy where the characters are attempting – and failing – to build a house or skyscraper, then you know how important pre-construction planning is to a building project. Pre-construction ensures all contractors are on the same page with regards to the project itself. This permits the project to be completed in a much smoother fashion. It also ensures the safety of all workers involved with the project. For example, electricians doing risky high-voltage work on the house’s wiring systems can warn other workers to keep their distance. This helps prevent electric shock or fire due to contact with potentially live wires. They can also avoid using certain tools to minimize the risk of damaging the electrical system. Pre-construction work also ensures the owner’s wishes will be followed as closely as possible. Have you ever seen a home remodeling program on TV where the owners are trying to fix a botched remodel? Much of that hassle can be prevented with better communication. This way the owner’s specifications are met. If there are issues meeting the owner’s needs with the current plans, then their input needs to be sought. This way new plans can be developed to meet their needs. 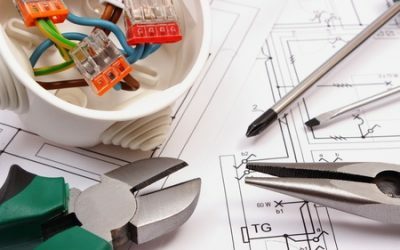 What Electrical Pre-Construction Services Are Necessary? Equipment will be evaluated to ensure both energy efficiency and equipment maintenance issues. Any issue can be addressed, including alternative equipment if the need arises. Return on investment will be evaluated. If the equipment and electrical costs do not provide a good ROI for the homeowner, alternatives can be discussed. Total cost of ownership is evaluated. The costs of equipment are evaluated, as are the owner’s purchase options (outright purchase or lease) and options will be discussed to maximize the value for the homeowner. If you have ever attempted to do your own electrical work at home, you know the value of a good electrician. The same goes when you’re having a home built or remodeled. Good electrical pre-construction allows you to save both time and money. A solid pre-construction plan will give you the electrical layout you require. That’s especially important if you plan to utilize solar or other alternative energy sources. It will also help you evaluate your choices and choose equipment that will be the most cost-effective over the years. Here at Bryan Electric, we know the pre-construction process may seem complex and even a little confusing. That’s why our staff is ready to assist you every step of the way. Give us a call at (770) 680-2144 or visit us online to get the answers to your questions about electrical pre-construction services.